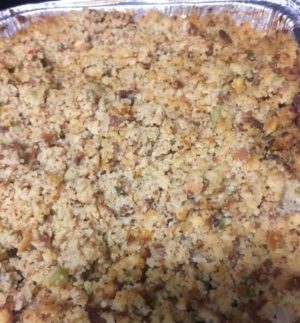 Traditional southern cornbread dressing, not stuffing! 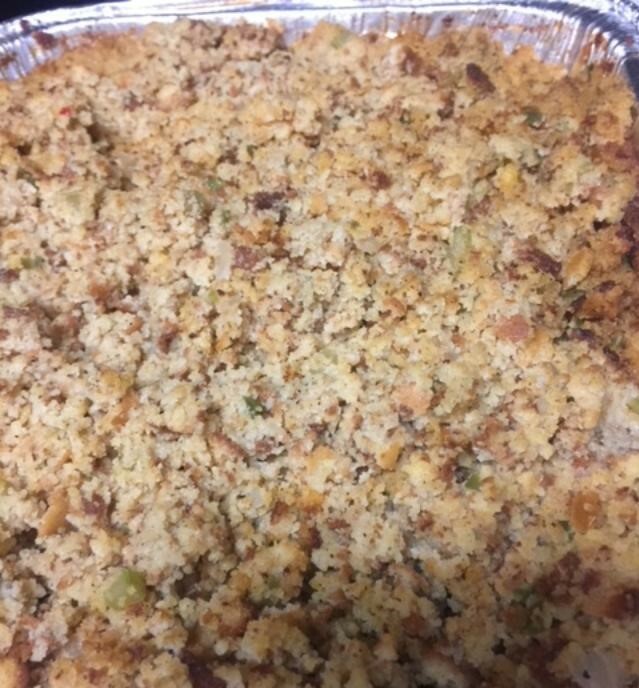 Our dressing is made starting with a big ol’ cast-iron skillet of cornbread, so you get the “crispy” bottom that adds flavor and texture to a good cornbread dressing. 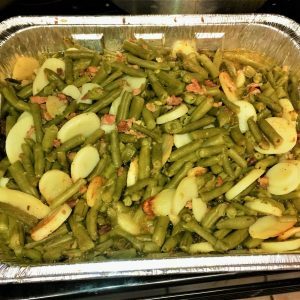 We use seasoned chicken stock, fresh vegetables, and our own blend of seasonings passed down through the family. 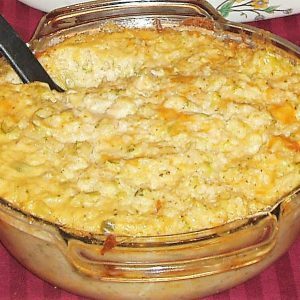 Baked to golden perfection with shredded smoked turkey added to take it over the top; never too dry and never too mushy. 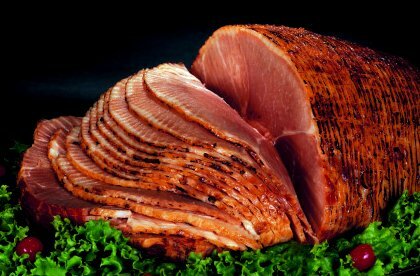 Perfectly delicious for any holiday meal and a perfect companion to our smoked or fried turkey!